For birds, glass windows are worse than invisible. By reflecting foliage or sky, they look like inviting places to fly into. Sadly, the bird often dies, even when it is only temporarily stunned and manages to fly away. Many times these birds die later from internal bleeding or bruising, especially on the brain. 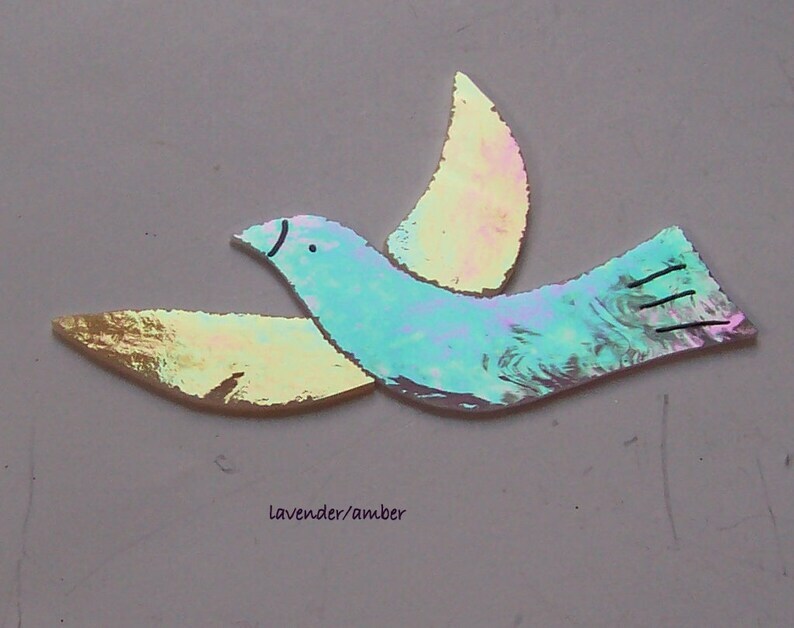 One way to Safeguard Your Windows For Birds is to place suncatchers on the window. These can be glued directly to the window in 15 seconds with Loctite for glass.. Just a drop is needed at the edge, and it will stay, even outside and scrapes off with a razor. Either side is a beautiful addition, one with its iridescence and the other with color. Each bird measures approximately 4 X 6 inches.